Here at Mill Dam Dental, we’re committed to working with you to create the smile that you deserve. For some people, veneers might be the solution to achieving this wonderful smile. Veneers are a thin layer of medical-grade ceramic material that dentists can put over teeth to essentially shape and create a whole new appearance for a tooth. Usually, people get veneers to cover abnormally-shaped teeth to give the appearance of a more natural, normal looking tooth. Some veneers are made from porcelain, and are custom fit for your mouth and the particular tooth that it’s covering up. You might not be a great candidate for veneers if you grind your teeth or habitually clinch your jaw. This can prematurely erode the veneers or cause damage to them. However, you may be able to speak to your dentist about solutions for your bruxism (or tooth-grinding), and look at getting veneers once this issue has been fixed. Issues such as gum disease, tooth decay, or being in need of a root canal procedure will disqualify you from being a proper candidate. Applying veneers to people with these issues could possibly make them worse. However, working with your doctor or dentist to fix these dental issues can get you back on track for veneers. 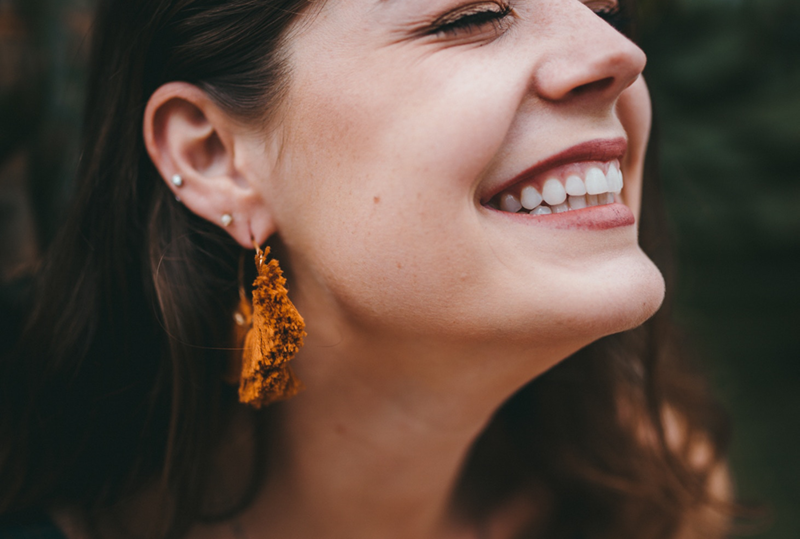 Veneers may be right for you if you have a sufficient amount of enamel on your teeth, healthy gums, and keep up with your oral health on a regular basis. There are two types of veneers available. When applying the porcelain veneer, a dentist will remove some of the enamel on the front and sides of the tooth, so that the veneer will fit properly. The dentist will then make a mold, or an impression, or your tooth, so that the inside of the veneer can stick to it correctly, leaving no room for food or cavities to creep in. Your dentist will also pick a shade for your particular veneer so that it will match the rest of your teeth. You might receive temporary veneers to wear until your custom ones are shipped back to be applied. When the veneers arrive, a dentist will clean your tooth, and then bond the veneers to your teeth. Dental professionals use a similar process with this type of veneer, only composite resin veneers are a bit cheaper, and take less time to apply. For starters, your dentist won’t need to remove as much tooth enamel, as composite resin veneers are easily fixable or replaceable. They’re applied by putting the composite resin onto the tooth, then shaping it to look like a natural tooth. The resin is then hardened using a light specialized for veneers. This type of veneer is a bit less durable than porcelain veneers; however, they’re easier and less expensive to fix if one gets chipped or stained. So, Why Do People Get Veneers? Many people usually opt for veneers to fix cosmetic issues with their teeth. Sometimes, veneers can be used to create a larger tooth, which will then fix the appearance of gaps. A tooth can also be chipped or abnormally formed, and veneers can either cover or reshape this abnormality. Teeth can also be discolored, which veneers can help hide. They can also help correct or distract from tooth misalignment. Since veneers are cosmetic, you can work with your dentist to make them look exactly how you’d like. If you want your teeth to look extremely white and pearly, that’s possible. If you want your teeth to look like a normal shade of white, that’s also possible. The main goal is to help you feel as naturally beautiful as possible; you can wake up in the morning and feel wonderful without having to pop in dentures or dental bridges, depending on your situation. Combined with other services such as teeth whitening or dental crowns in other areas of your mouth, you can achieve the movie-star look to keep you smiling wide and bright. Dr. Charles Pincus invented veneers in the late 1920s. As a dentist to the stars, Dr. Pincus created veneers to help movie actors and actresses have big-screen-ready teeth. Back in the day, however, these veneers were only temporary, as the technology required to bond the porcelain to the teeth did not exist. Today, using Dr. Michael Bunocore’s adhesive solution developed in the 1960s, dentist are able to bond these veneers to your teeth for safe and durable beauty that can last up to ten years. Porcelain veneers, depending on what type of damage they experience, can usually last up to 10 to 15 years with solid maintenance. Since they’re completely covering up your tooth, porcelain lasts longer because they are specially made to act as a tooth cover. Composite resin veneers last up to 10 years as well, but are a bit more vulnerable to chipping, staining or other types of damage. Younger people in need of cosmetic dental work usually use these types of veneers because they’re more prone to damage. Once a patient grows older, that’s when porcelain veneers are usually used. However, this is not a rule. Make sure to always speak to your dentist who will help you decide which types of veneers are best for you. Veneers, whether porcelain or composite resin, are relatively easy to maintain. Since they are made to resemble a tooth a closely as possible, you’ll be able to maintain your veneers the same way that you’d maintain a tooth. Making sure to regularly brush, floss, and get regular checkups and teeth cleanings is key to keeping your veneers beautiful. Certain types of damage done to veneers can be irreversible. For example, staining a porcelain or composite resin veneer is irreversible. While you may be able to whiten your teeth on a fluctuating basis, you cannot reverse staining on a veneer. they can’t be whitened. Once you’ve stained a veneer, you either have to avoid whitening the rest of your teeth, or whiten your teeth and replace the veneer. Regardless, keeping up regular dental hygiene is always a plus. You’ll avoid painful issues like root canal infections, cavities, or gum disease. All of these issues not only cause paint but can cause you to have to remove your veneers. 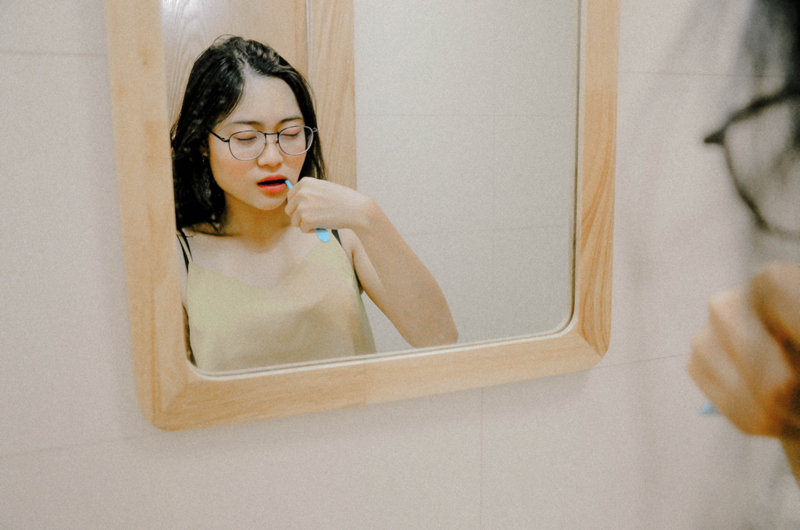 Simply put, being responsible about your dental hygiene will ensure that your veneers stay not only pearly white like the movie stars’, but ultimately that stay in your mouth. The typical procedure for one or a set of porcelain veneers should only take about one to three dentists visits. The first visit is for the dentist to consult with you on whether or not veneers are right for you. If yes, they’re decide which type should work for your situation. The second visit, your dentist will gather and impression or mold for your teeth to then send to a lab. In the meantime, you’ll be able to wear temporary veneers to get a feel for what your final ones will look and feel like. The lab will create custom-fit porcelain veneers, which they will mail to your dentist’s office. Once your dentist has received the custom veneers, you’ll be able to go in and have them applied. Composite resin veneers take a little less time to apply. After consulting with your dentists, you can schedule an appointment to have them applied. Getting composite resin veneers should only take one appointment, as no impressions need to be sent to a lab. Depending on how many veneers you receive, you could go through a relatively in-and-out procedure. Regardless of what type of veneers you have, you might experience a bit of pain after the procedure due to the stripping away of tooth enamel. Ultimately, this pain is nothing that a mild painkiller can’t help; it also shouldn’t last longer than a few days at the most. If you are experiencing pain for a longer period of time, be sure to contact your dentist. There might be a deeper issue that needs to be addressed. All in all, veneers aren’t like braces, which need years to have the final product. You can have your veneers applied in just one to two visits to a dentists office. Be sure to consult with your insurance provider about coverage for veneers. Since they are technically considered a cosmetic surgery, there’s a chance that your provider might not cover the cost of your veneers. While some dental providers might have this under the list of things to cover, there’s a large portion of providers who do not pay for veneers. If this is the case, speak with your dentist about possible payment plans to take care of this procedure; they’ll be willing to figure out something that works for you. Veneers, simply put, are a very easy solution to a self-image problem. While they are a cosmetic fix, they do so much more than make your teeth beautiful. They eradicate any possible embarrassment you might have from your smile. It’s a minimally painful process that’s quick and easy. Talk to your dentist today to see if veneers are the next step in your dental journey. Wisdom Teeth Removal: Is It Really That Necessary? 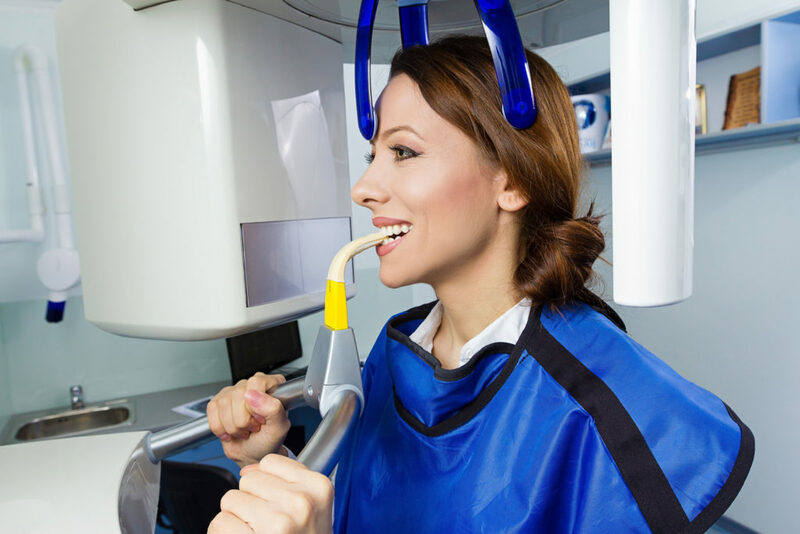 Our office is prepared to make you comfortable while achieving optimum dental health in a caring environment. We will be delighted to answer any questions regarding our cosmetic and restorative procedures.